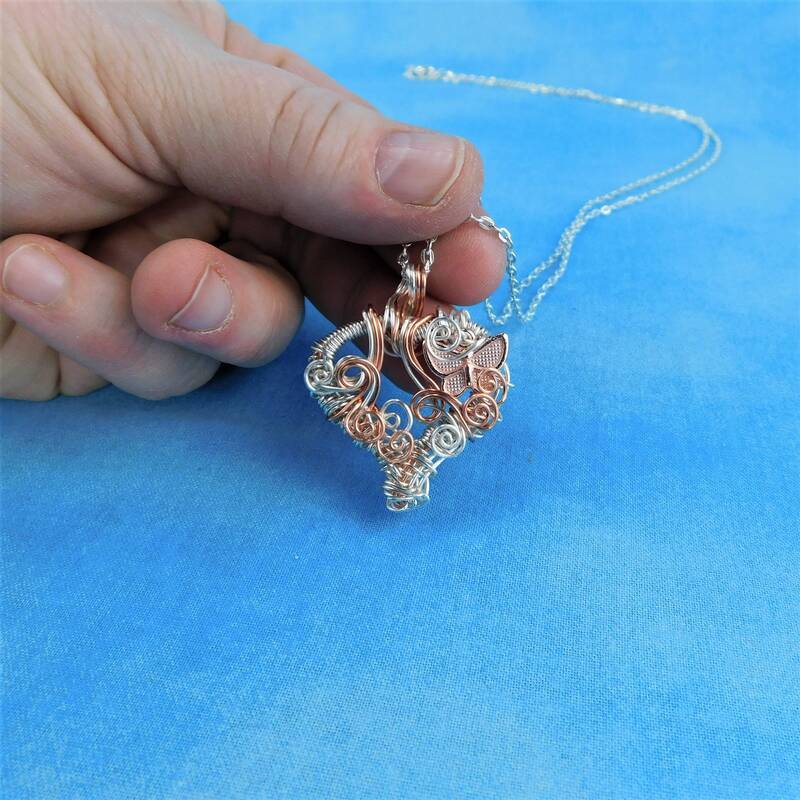 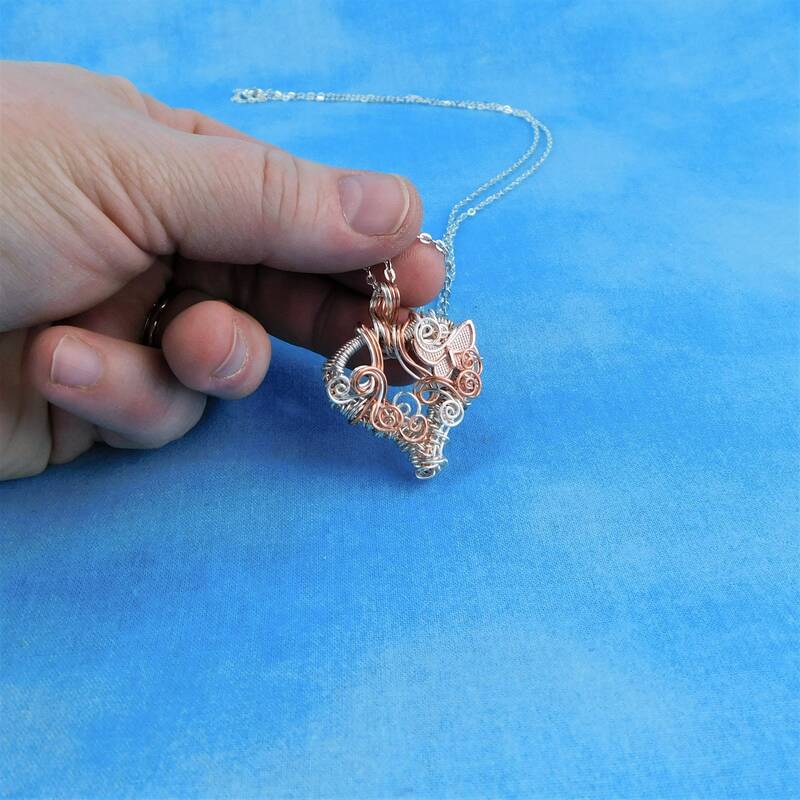 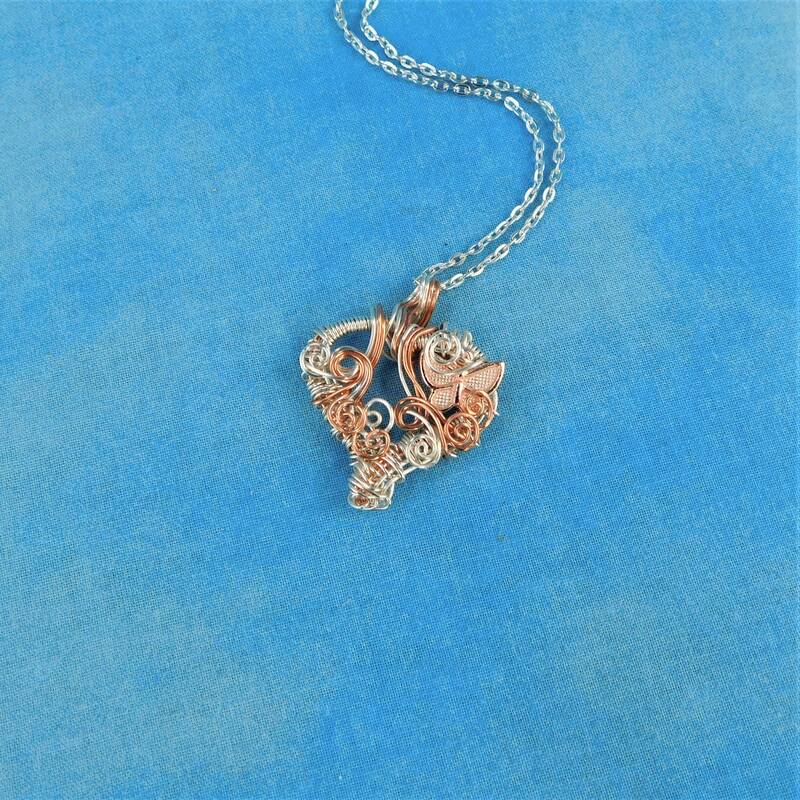 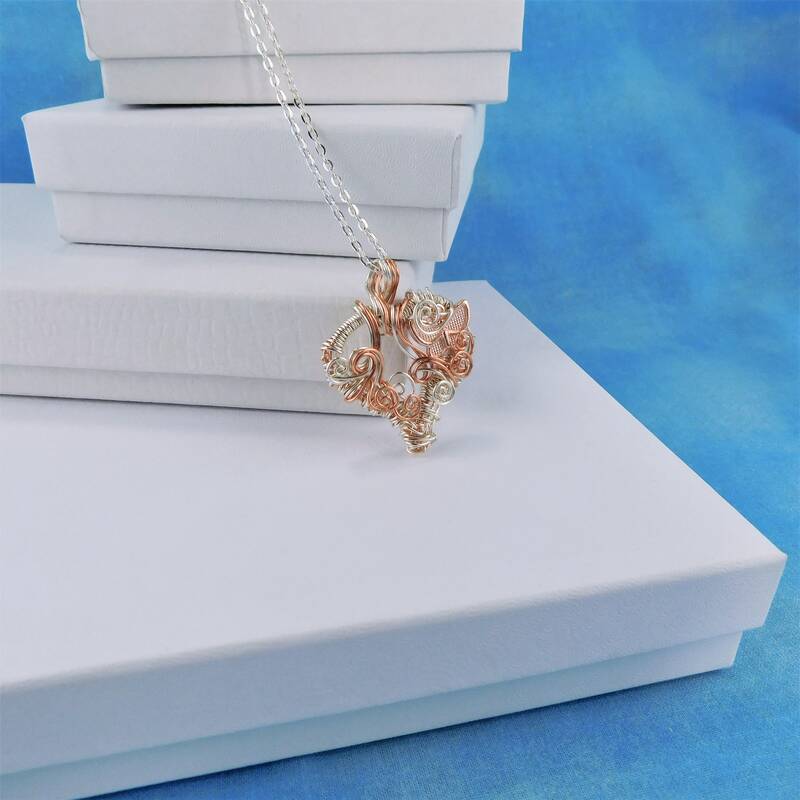 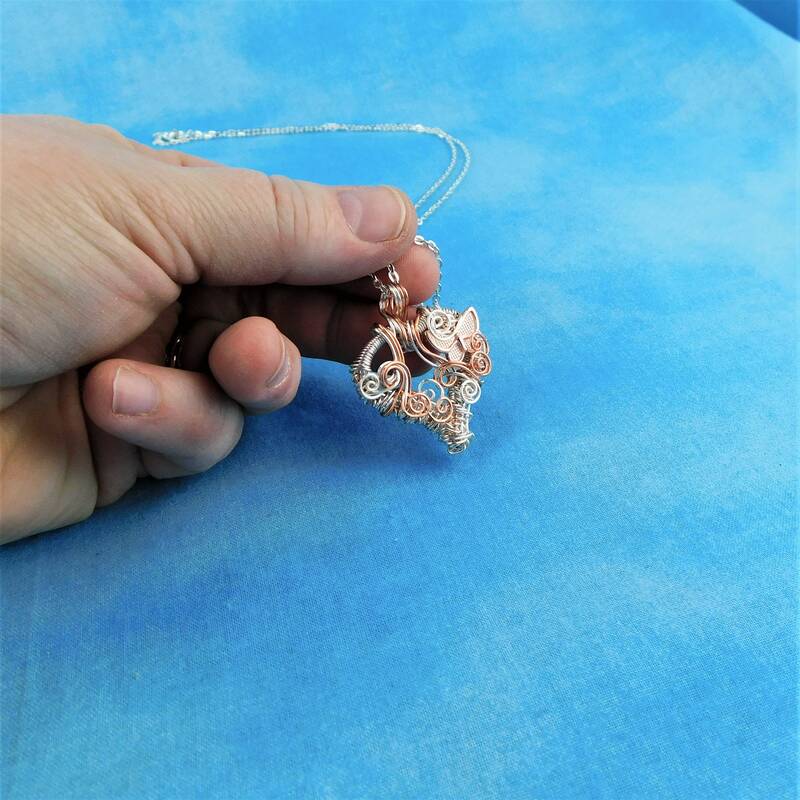 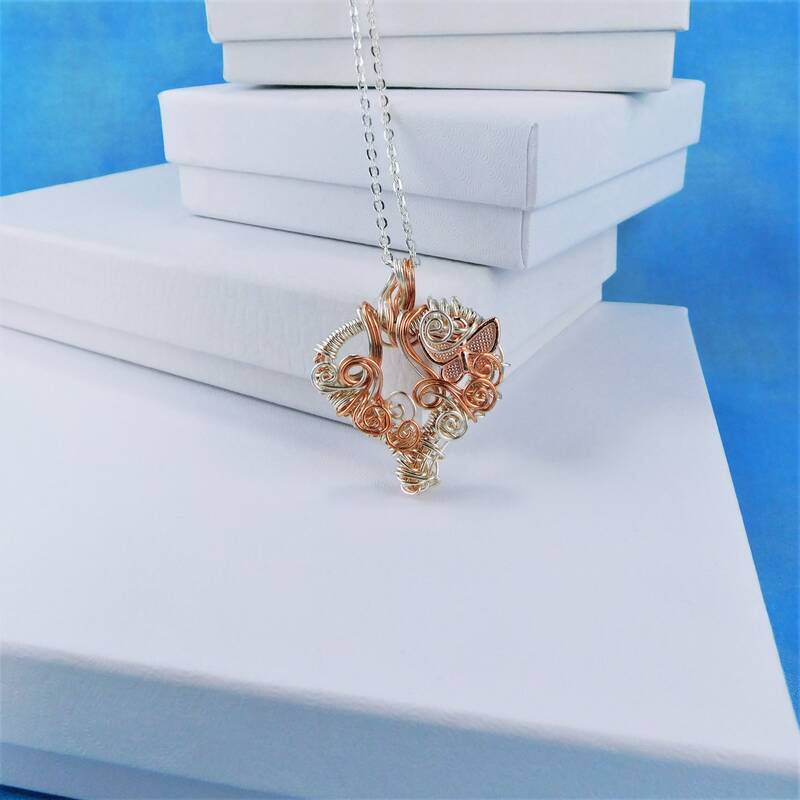 Bright copper and fine silver over copper wire are meticulously hand woven and artistically sculpted into a heart shape and embellished with a small bright copper butterfly. 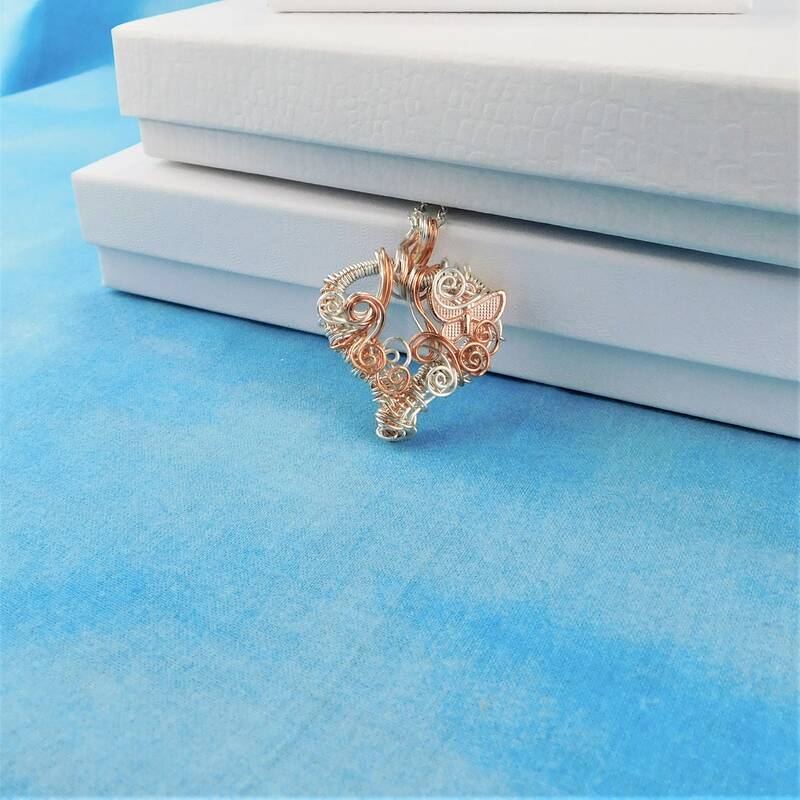 The lacy appearance of the heart creates a romantic, feminine feel, and the tiny butterfly suggests freedom, rising to new adventures, and the peaceful beauty of a woman of confidence and strength. 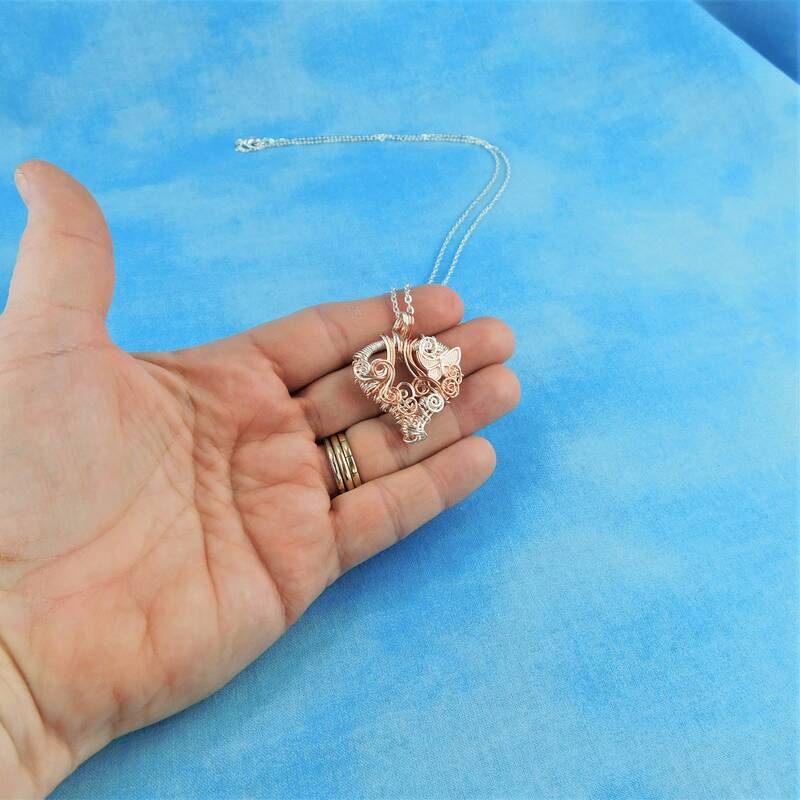 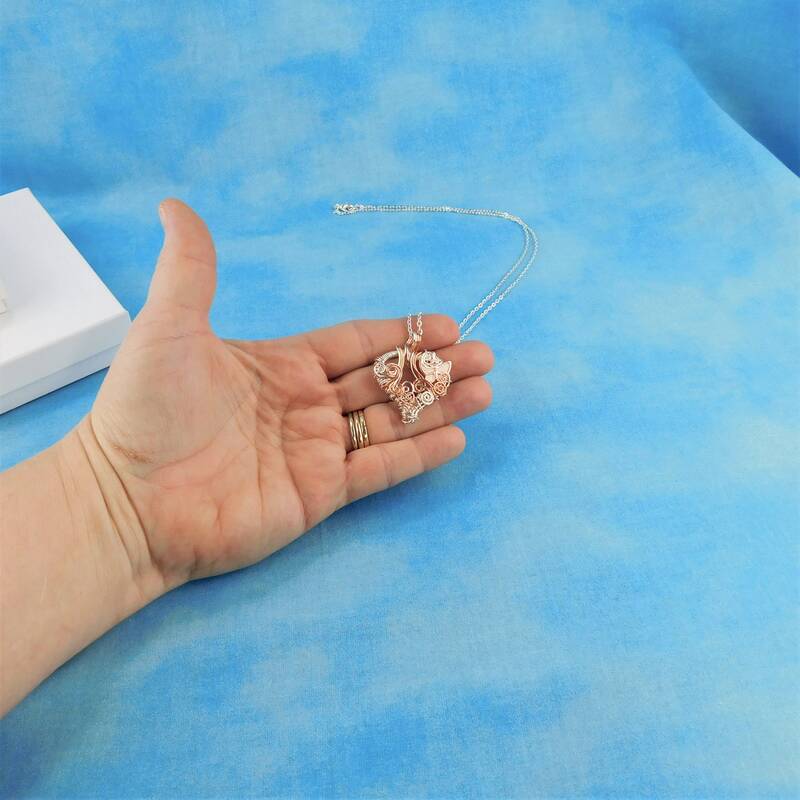 The heart measure 1 1/4 inches long by 1 1/4 inches wide and comes with a FREE coordinating chain with lobster claw clasp, measured to your preferred length.